Notes: Nationally scarce (Nb) in coastal sand-dunes, rarely inland, throughout much of the British Isles, except for northern Scotland. In Hampshire and on the Isle of Wight formerly more widespread, but in recent years recorded only from Hayling Island. Wingspan 11-16 mm. 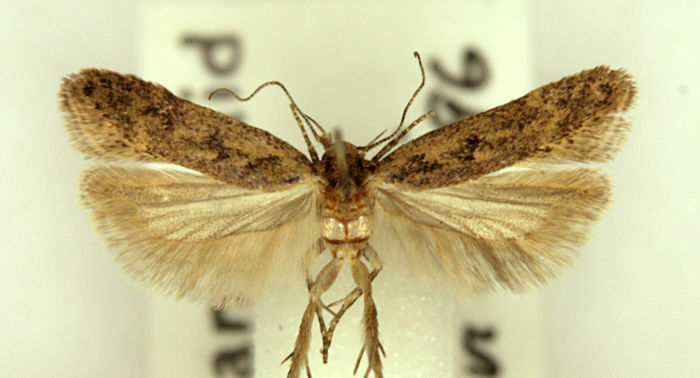 Dark forms are most easily confused with B. terrella, which is on average slightly larger with broader forewing; specimens with a weak indication of a median streak are always B. desertella, but weakly marked specimens are virtually impossible to separate without examination of their genitalia (MBGBI Vol 4 part 2). Larva feeds on various mosses, living within a silken tube or tent.